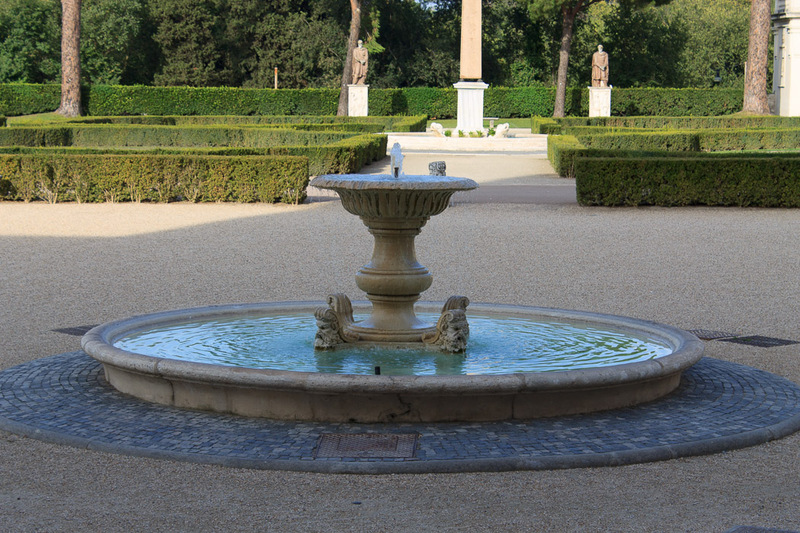 The fountain in the Villa Medici courtyard is a simple bowl fountain on a pedestal that overflows into a basin at ground level. You can see it as part of a free guided tour which is explained on the Villa Medici page. I went here thinking this was the fountain that Respighi depicted in his Roman Trilogy, but deduced that it was really the fountain in front of Villa Medici that he painted with music. 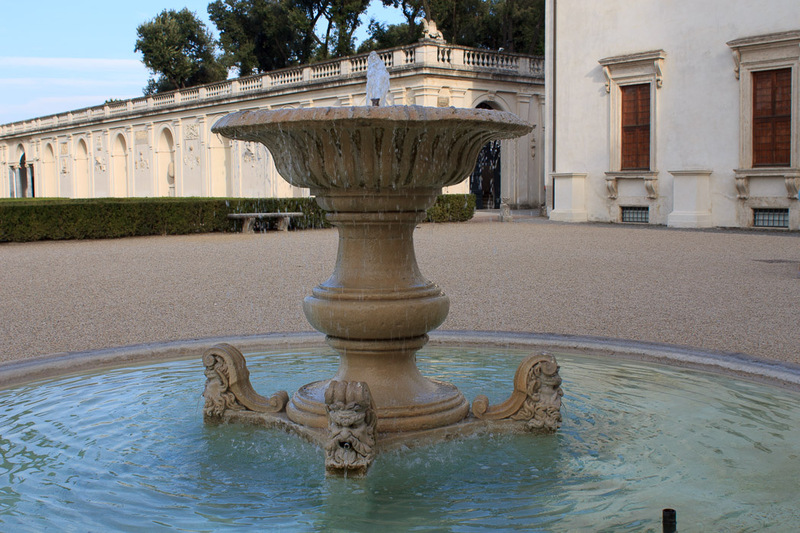 See all Fountain in Villa Medici Courtyard photos.